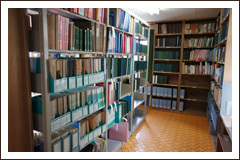 The historical museum serves to help people who plan to do their graduation thesis or other research on Hansen's disease. Please contact us if you would like more information. We ask that you send us your specific research plan in an attachment. 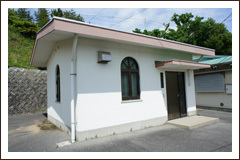 The Kamiya Library was built by the estate of a psychiatrist named Mieko Kamiya. It contains a wide collection of books and materials printed in Japan relating to Hansen's Disease. If you would like to use the Kamiya Library, advance reservations are required. Please see the "Index of social materials related to Hansen's Disease" on the National Hansen's Disease museum website.